In many ways, the memories I have of my grandparents are even stronger than the ones I have of my parents. My brother and I spent many a weekend under our grandparents’ heels in their tiny home in Pennsylvania. We had sleepovers and cookouts on the patio. We swung in the swing my grandfather built for us. Pulled onions and tomatoes from my grandmother’s garden. While my parents moved from house to house, my grandparents’ home never changed. It was my anchor. My lifeline. My children haven’t had the same experience. Clearly, the American family is changing. Today, not only are many families fragmented by divorce, they are also living farther apart. I would know: I’m a divorced mother of two sons. My father, who lives 2,000 miles away, has never met them. I’m not alone. According to a New York Times analysis of data from the University of Michigan Health and Retirement Study, about 20 percent of adult Americans live more than a few hours’ drive from their parents. Couple that with the increasingly frenetic pace of after-school activities, youth sports, and screen time, and it’s hard for some families—even families that do live nearby—to find a way for grandparents to play a meaningful role in their daily lives. At a time when we’re seeing the largest boom of aging Americans, it seems we’re pulling away from older family members in favor of our phones, activities, and work. In many cases, grandparents are getting pushed to the sidelines of our lives, rather than staying where they need to be—in the center. Aging is a good thing. Children often view old toys as being just as disposable as paper plates and cups. What about their views of older people? My own 6-year-old recently told me I don’t need to bother learning the correct way to hold a football because I’m too wrinkly! We need to show children there is value in aging. There is value in new perspectives. There is value in people who have been here—working, learning, and living—long before they came. Newer isn’t better. Wrinkles aren’t bad. Slow isn’t boring. Gray is the new black. “You’re not the center of the universe.” When I was younger, it didn’t even occur to me to ask my grandfather about his time in the Navy, or how he and my grandma fell in love. Those details came out much later, when we started corresponding by letter in college. We need to show our kids that their grandparents are walking history books. We need you to show them they aren’t the first ones to face a challenge, get scared, take a road trip, drive across the country, fall in love, or fight for something they believe in. This is perspective our children need to hear, see, and touch to be better people living better lives. And they don’t have to be adults before they realize it. Slow down. We don’t get do-overs in aging. Not in our own lives—and not in the lives of others. My mom died when she was 48. I spent years of my life running away from her sickness because it was hard. It was uncomfortable. It made me sad—and I was in a hurry with my own life. I wanted to do my own stuff without thinking about hard things. I know the regret of not being there for someone when they needed me. I learned the hard way that slowing down and caring about people around me is the most important thing. Grandparents: you can be that constant reminder in your children and grandchildren’s lives. Indeed, the best way we can teach today’s children that family is forever is to model that behavior ourselves. We need you to show them—not just tell them—that involving, asking, helping, and making space for those we love is essential no matter what age someone may be. Dear grandparents: No matter how forgotten, lost, or insignificant you may sometimes feel in today’s frenetic, fast-paced world, you must refuse to stop teaching us. You must refuse to let go of those you love. 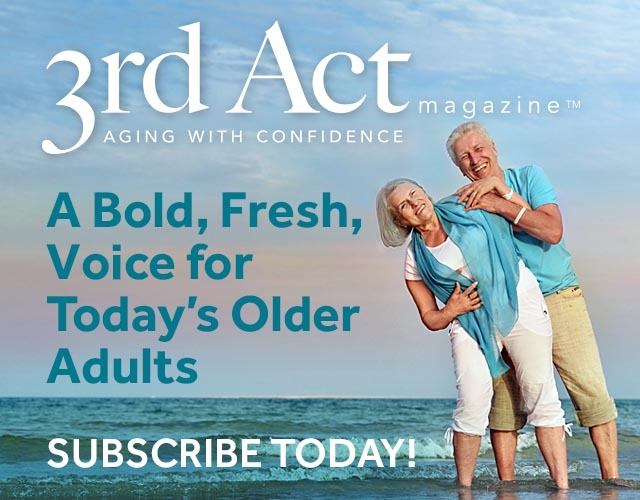 Jess Stonefield writes about aging, mental health, and the greater-longevity economy for publications such as Forbes.com, Next Avenue, and Changing Aging. She is a communications expert for the Senior Living Fund.